I have have readers write to me in the past because when they print their document, they notice that the quotation marks are not printing properly even though they look fine on the screen. There could be a couple of causes of this behavior. 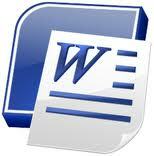 To better understand those causes, it can be helpful to know how Word handles the quotation marks in your documents. The regular quotation mark has a character code of 34. If you have Smart Quotes turned on in Word, your quotation marks could use character codes of 147 and 148, depending on whether it is the opening or closing quotation mark. If your quotations marks are not printing properly, it is usually because the font being used does not have symbols associated with character codes 147 and 148. Suppose for instance, you are using the Courier font which does not have characters for these codes. When you look at your document on your screen, Word will substitute a screen font that will display the opening and closing quotation marks properly. But, when your document is printed, your printer font (Courier) does not have them, so it either omits them or substitutes a different symbol for the characters. Click the Office button and Word Options to display the dialog box. Click Proofing on the left-hand side of the dialog box. Click AutoCorrect Options to display the dialog box. Be certain the AutoFormat As You Type tab is displayed. Make sure the Straight Quotes with Smart Quotes option is deselected.